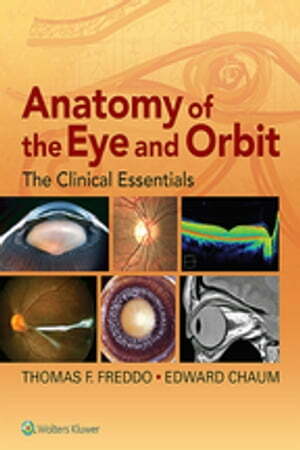 Collins Booksellers - Anatomy of the Eye and Orbit by Thomas F. Freddo & Edward Chaum, 9781469873299. Buy this book online. Master the Clinical Essentials of ocular and orbital anatomy for clinical practice! The eye is an organ of great complexity. Anatomy of the Eye and Orbit: The Clinical Essentials achieves the impressive task of presenting all the ocular anatomy that ophthalmology residents, optometry residents, and optometry students need to know – in a single accessible, high-yield volume. It emphasizes the aspects of eye and orbit anatomy that are most relevant to clinicians in training, providing the practical, real-world foundation necessary for practice.